The Belden-Stratford in Lincoln Park is a 297-unit rental building at 2300 N. Lincoln Park West, just steps from the adjacent park. 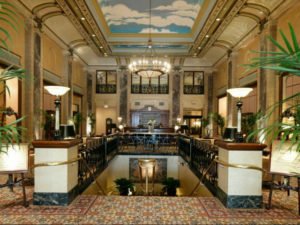 It is also known as the Beaux Arts building and was formerly an historic hotel which opened in 1923. It was recently purchased by PGIM Real Estate in 2013. This week, Joe Mansueto, the founder of Morningstar, purchased the property for over $100 million, just five months after purchasing the Wrigley Building, another historic Chicago landmark building. Mansueto also bought a 49% stake in the Chicago Fire soccer team this summer. Little is known about Mansueto’s plans for the Lincoln Park building, which is fully stabilized at 99% occupancy. According to CoStar, the average rent is $2.63 per square foot, a 6% increase over 2017. Rents start around $1250 for efficiency studios, $1925 for 1 bedrooms with shared laundry, $2400 for bedrooms with in-unit laundry, and go up to the mid $3900 range for 2 bedroom apartments with 2.5 baths and in-unit laundry. 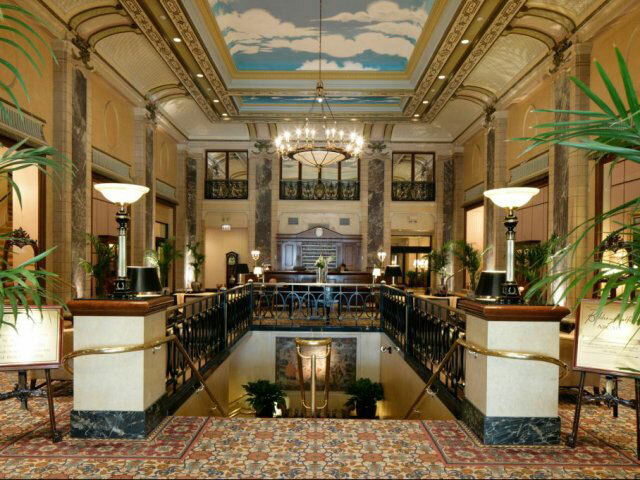 Although most units have undergone renovations, the lobby still has historic charm from its days as a high end hotel. The streets are lined with mansions, restored Victorian flats, modern town homes, and brand new condominiums. Lincoln Park is north of downtown, making it less frequented by tourists and sprinkled with some of Chicago’s oldest gems, including restaurants, taverns, music lounges, parks, and quaint coffee shops.